There are no commitments with our nationwide alarm monitoring services! 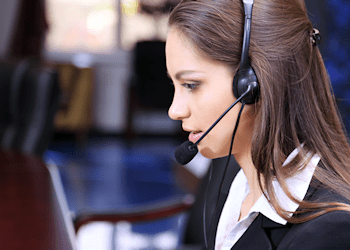 Our central station "live-operator" dispatch alarm services include free tech support! Live operator calls the police and/or fire departments for an alarm-initiating event! Receive a complimentary front yard security sign & stickers to place around the premise! Have a certificate of alarm sent to your insurance agent, when the account is online! Get existing system activated to send signals through our fully redundant central station! Protect your property with an unlimited number of wired/wireless security products! Protect your property against environmental factors such as; freeze, flood, smoke & CO! Control your system using an Android, BlackBerry, iPhone or other smart device! Log into your account to view your security system report of all the openings & closings! Easily setup real-time email & text message alerts to unlimited phone numbers & emails! Control your Z-Wave® compatible lights, locks, and thermostats remotely from anywhere! Remotely view and control up to eight Alarm.com security cameras! Compare PRO and DIY Alarm Monitoring Services? 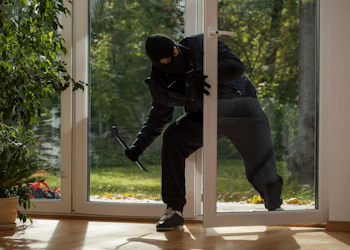 Too many people forget to arm their security system every time they leave the house. 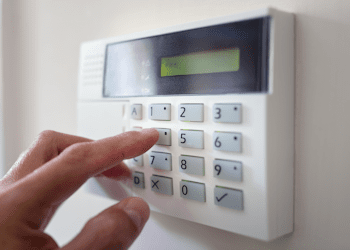 As a security system user, your only responsibility is to set the alarm. GeoArm offers a wide range of wireless keypads and keyfobs which make this step as easy as possible. One of your security devices is triggered by an alarm initiating event. Next, the device that was activated sends a signal back to your security system control panel which then sounds a local siren. With our professional alarm monitoring services, the activated control panel goes into alarm protocol and will call the GeoArm central station via; traditional phone line, voip, wifi, broadband internet, cellular, or dual-path communication network(s). Upon receiving your alarm signal, our operators are trained to follow dispatch protocol and respond to your specific situation. If a medical, fire, or panic signal is received, the operator immediately calls the proper emergency response. If a burglary signal is received, the operator responds based on the submitted call verification phone numbers. In order to reduce the chance of false alarms, our central station operators will call up to two different phone numbers in an attempt to verify that a real alarm has occurred. If there is no answer at either number, or if a wrong false alarm password is given, the operator will then dispatch the police. 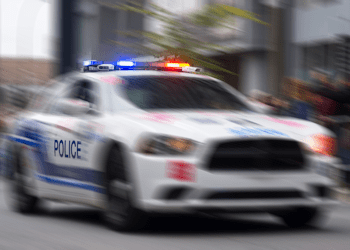 This call verification process effectively eliminates over 75% of all false alarm dispatches and is now required by most states and local municipalities.